X-Men: Apocalypse addresses the question that fans have asked since Wolverine first flexed his mighty adamantium claws way back in 2000 – who was the first mutant? The answer to the question is En Sabah Nur (Isaac) aka Apocalypse. Who? Well, back in the day (the day being ancient Egypt around 3000BC) En Sabah Nur knocked about with his four mates, also mutants and granted their abilities from Nur (and possibly the source of the 4 Horsemen of the Apocalypse legend), ruling the known world. Then, as today, the bolshy Egyptians had enough of being ruled by a despot and decided it was time for a leadership change so they collapsed a pyramid on Nur entombing him and killing his right hand men. All’s well until the 1980s when, aside from discovering Wham and mullets, we also discover Nur’s tomb. You can guess what happens next. He wakes up like a bear with a sore head, finds himself in an Egypt he doesn’t recognise and is none too happy with mankind for betraying him. So what does he do? 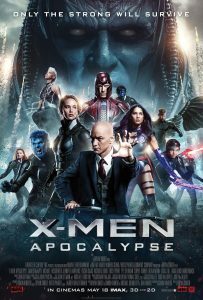 He gathers together four hard-as-nails mutants, Psylocke (Munn), Angel (Foster), Storm (Shipp), including Magneto (Fassbender), and opens a can of apocalypse on the world, that’s what! Cue scenes of destruction as Nur and Magneto start to rip the world apart – destroying bridges and wrecking buildings, you know how it goes. The world, however, is not without its saviours. Standing against Nur and his mob is Professor Xavier (McAvoy) and the X-Gang faves – Jean Grey (Turner), Hank/Beast (Hoult), Raven/Mystique (Lawrence), Quicksilver (Peters) and a brief appearance from everybody’s favourite X-Men arse kicker, Wolverine. What follows is truly apocalyptic as the mutants have their showdown in Cairo, unleashing their super powers on one another while leaping and flying gracefully around looking good and levelling buildings. 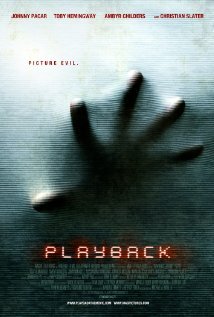 So what’s to like about the film? 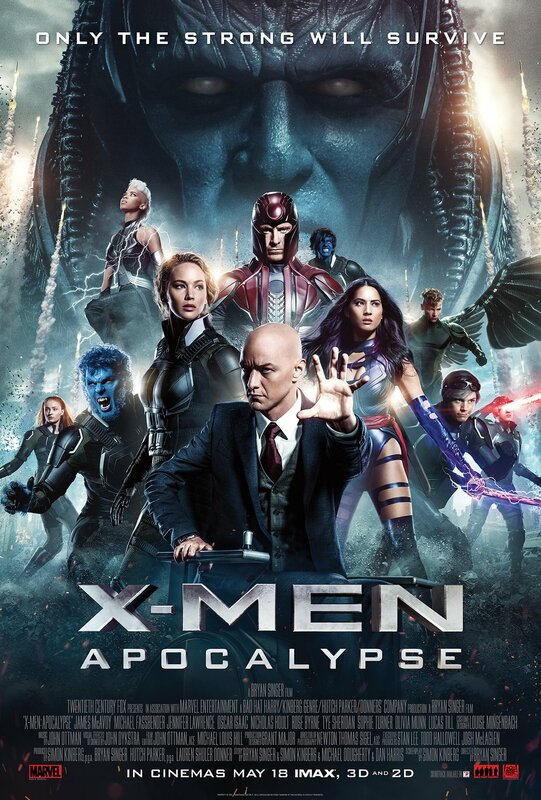 People go to watch X-Men: Apocalypse for the action, the thrills and spills of seeing beautiful people in skin tight costumes flying around shooting laser beams from their eyes, causing large scale CGI mayhem and destruction while beating the seven bells out of each other. On that score, X-Men: Apocalypse ticks all the boxes. It’s the standard Hollywood super hero fare and nothing that we haven’t seen before. But if that’s your thing, then check it out – it’s popcorntastic fun for the biguns and the littluns.